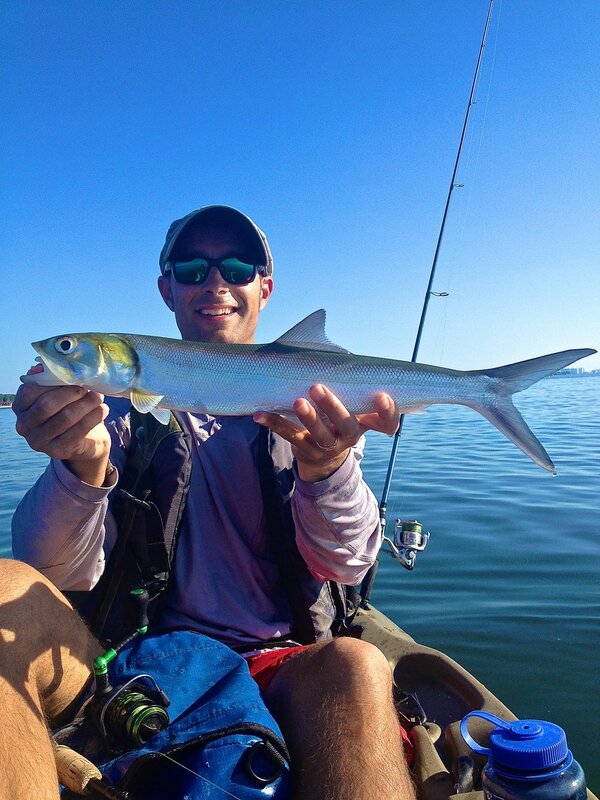 Fished over the last couple of weeks out of a kayak around the Sarasota area in Florida and had a blast. We caught red fish, speckled trout, snook, ladyfish, grouper - all fishing with similar tackle as we use for walleyes back up north (of course Micah caught the biggest ones!). Savage Gear makes the TPE Manic Shrimp - awesome bait for all fish that swim in saltwater - looks more real than a real shrimp looks and acts in water! Learned a lot about saltwater fishing, but also discovered many parallels between salt and freshwater fishing. Fish still relate to structure and bait. The obvious big difference was the tidal currents. Had the privilege to fish with Capt. Bill Muirhead down there and had a blast - caught tons of fish and learned a lot.